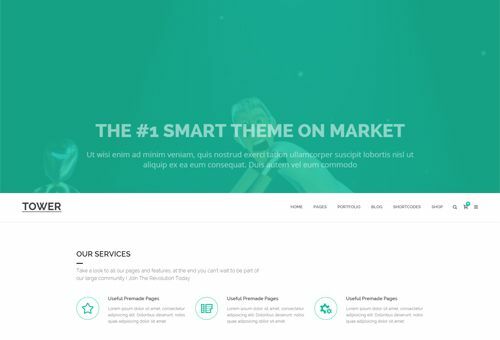 Tower let you create one page websites. Create one page with few clicks. One Page are very useful to market products on the web and also can be used for simple websites. One Page Websites are very light and highly recommendable for seo purposes. Single page websites became a trend recently, mostly among designer sites because this type of web design is perfect for a portfolio. But it can also be found in apps or product sites, basically anything that is not heavy on content. Showcasing all the content of a website in a single page is a great way to save time for visitors as they won’t have to jump from one page to another and the site only has to load once.